Download YouTube Playlists, Bulk Videos with BYTubeD. BYTubeD is a add-on developed by M S Ram for Mozilla Firefox for bulk videos download from YouTube, popular video sharing site. With help of BYTubeD and any download manager like FlashGot or DownThemAll, downloading YouTube playlists will be child’s play. In case the add-on does works fine, download the latest fix from BYTubeD Fixes. 1. 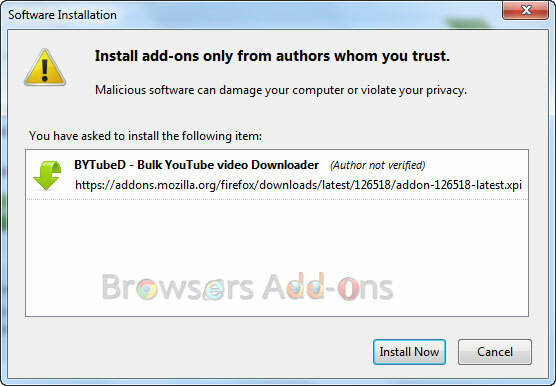 Go to BYTubeD Mozilla add-on page, or simply click on the above download link and click on “Add to Firefox“. 3. BYTubeD installation box pops-up. Click “Install Now” to continue installing add-on, “Cancel” to abort installation. 4. On successful installation, BYTubeD asks user permission to restart the browser. Restart the browser to activate the add-on. 1. Go to the specific page or playlist from where you want to download bulk videos, then right-click (RMB) and click BYTubeD “Ctrl”+ “Y” and allow the BYTubeD to fetch YouTube download link. 2. On fetching the download link, BYTubeD displays the Videos to be download. Clicking “Start” will directed to a webpage where Youtube download links are created or it can directly start downloading. Click on the links with start the download. If you have any download manager with Mozilla Firefox extension like FlashGot, DownThemAll or IDM, you can fetch all the links at once and start download with high speed. 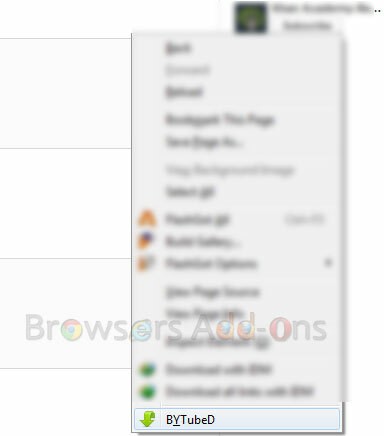 Tutorial: Using FlashGot add-on for Mozilla Firefox. 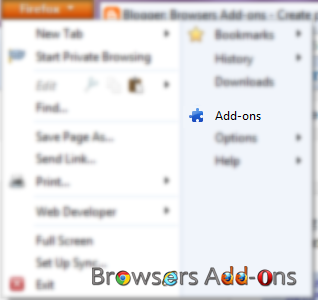 Tutorial: Using DownThemAll add-on for Mozilla Firefox. 3. You can change preference like “Resolution“, “File Format” and others during creation of download links. You can download the videos with subtitles (Additional Features), if available. Note: If the extension doesn’t fetches other links instead of video links, try latest fixes. A motivating discussion is definitely worth comment. I do believe that you need to write more about this topic, it may not be a taboo subject but typically people don't speak about these topics. To the next! Cheers!! they will get benefit from it I am sure.Thanks for sharing it. You are posting a informative knowledge in your blog.. visit- Youtube Support Call Toll Free No +1-800-231-4635 For US/CA. Next story Starting Mozilla Firefox in Safe Mode, Addons disabled. Previous story Saving text with Time Stamp and Site Address with Save Text to File addon for Firefox.